Once upon a time... 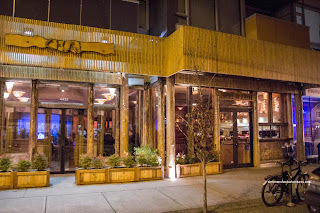 I decided to organize a blogger's dinner at East is East (Broadway location). Back then, that was a relatively doable exercise as there were only a few truly active blogs. If we were to do such a thing now, we'd need a rent a hall or something. I came away from that dinner relatively pleased since the food was above-average and the price was right (yes, I realize I just named a TV show...). 3 years later, I got an invite to try out their recently relocated spot on Main. Since I could bring a guest, I enlisted someone who was at that original blogger's dinner - Mijune. Oh, and the fact she could eat a whole cow herself was another determining factor. And this is not a joke, the "thing" to order at East is East is the Silk Route Feast which is essentially an all-you-can-eat menu for $25.00 per person. We did end up ordering the Feast, but not before we noticed some interesting items unavailable on that particular menu. 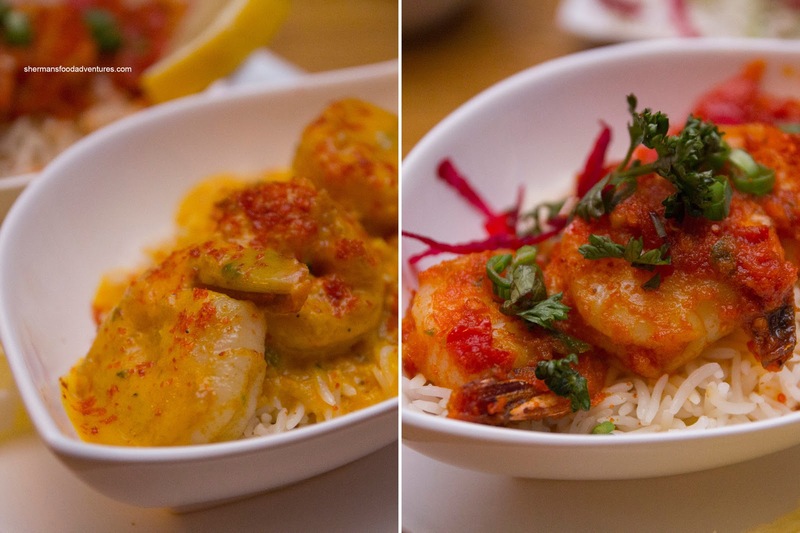 Hence, we decided to start with a half-and-half order of their Mango Prawns and Prawns Masala. We found the mango prawns to be the better of the two with a rich, creamy sauce that exhibited a understated sweetness to start while finishing off with spice. The prawns themselves had a nice snap and were cooked just right. As for the prawns masala, they were bathed in a tomato sauce that only had a hint of tang while exhibiting a mild-to-medium level of spice. 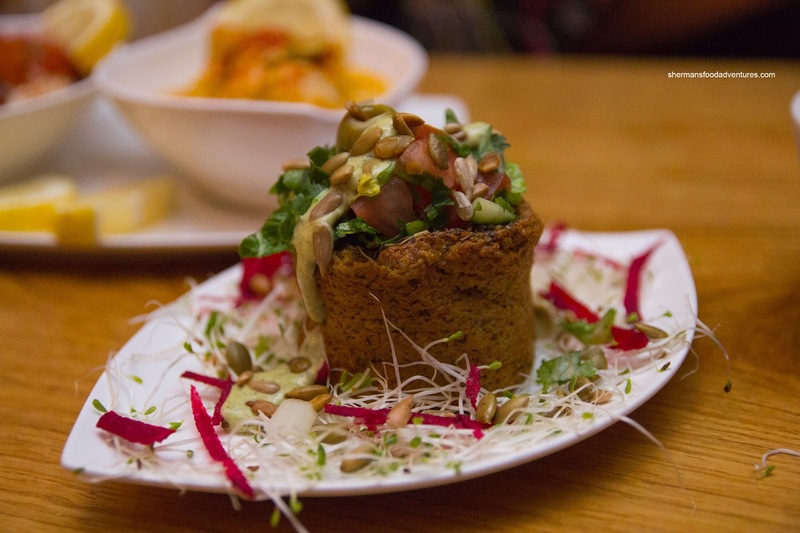 The Vegetable Pate with hemp also caught our attention. I was a bit skeptical at first because I am a full-blown "Meatatarian", however, it was much better than I thought it would be. The texture and flavour could be best described as mushy processed meat (akin to that defunct canned pate from Puritan). Now yes, that may not be a ringing endorsement, but in a strange kind of way, I didn't mind it. I kept eating it, so I didn't dislike it right? Now onto the Feast. We had a choice of soup, salad and carbs for the meal. 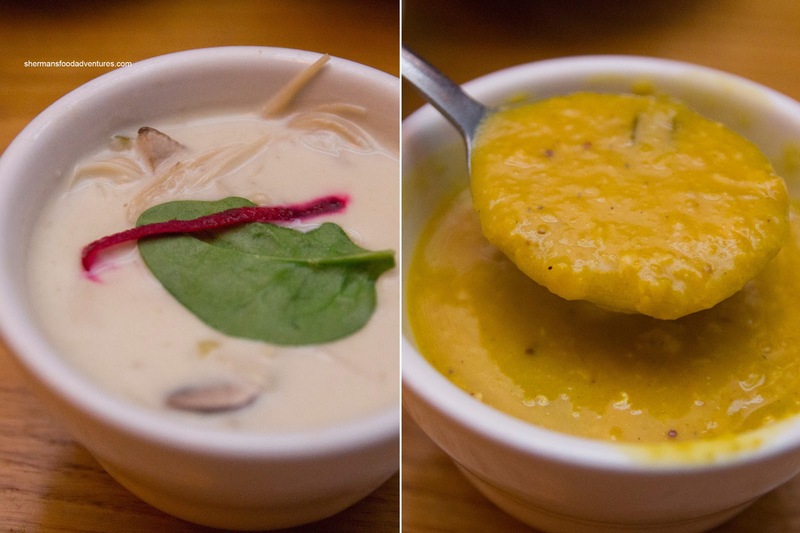 We ended up with one each of the Mystic Soup and Squash Soup. One sip of the mystic soup and there was a definite lemongrass/ginger hit. 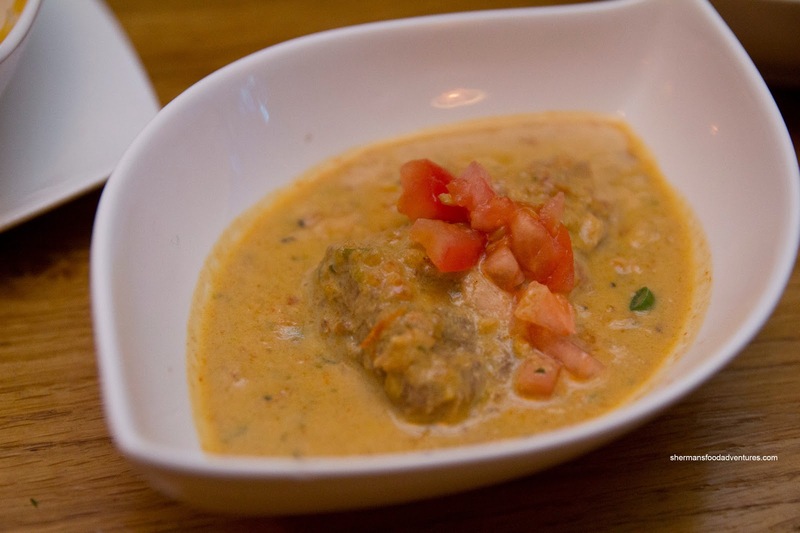 It was possibly too strong as it overwhelmed the creamy coconut and mild green curry flavours. Interestingly, they used both button mushrooms and enoki. As for the squash soup, it was more like lentil soup as the texture was more hearty than smooth. It had this mulligatawny thing going on which made it complex in flavours. 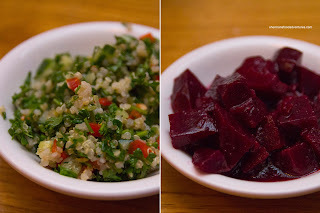 For our salads, we tried the Tabouleh and Beet Salads. I found the tabouleh to be pretty good with vibrant ingredients and mildly dressed while the beet salad was sorta ho-hum. The beets were a bit soft while the flavours were sweet but understated. Now this is where the eating got serious as we started round one with 4 items. I gave the Afghan Eggplant a go first. 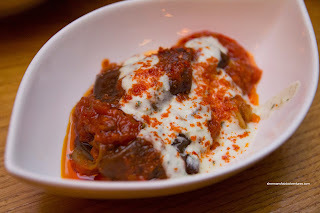 It consisted of baked eggplant sauteed with herbs, tomato, onion and garlic topped off with yogurt. I found the eggplant to be moist yet not a complete mush. 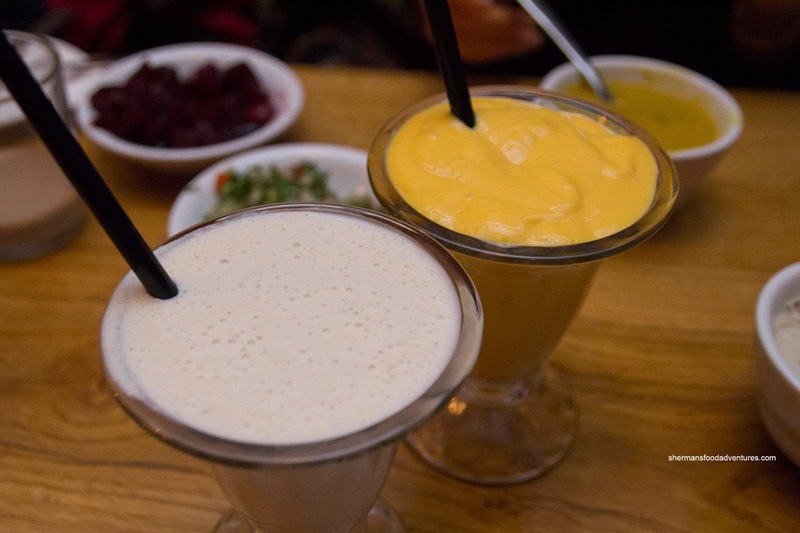 The flavours were a pleasing combination of tartness, spices and the cooling effect from the yogurt. When we originally ordered the Alu Gobi, they informed us that it was not ready just yet. When it finally arrived, we gave it a try and it was indeed not ready. 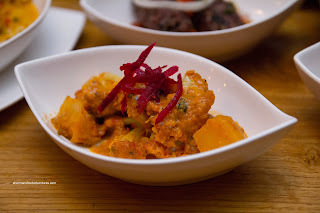 Both the cauliflower and potato were too firm while the flavours did not mesh with the ingredients. However, we got another order later and it was much better since it was given some time to cook down. The ingredients were softer while the tang of the tomatoes really announced themselves as well as some spice. Moving onto some meat dishes, we had the Lamb Pan Kebab roasted in ginger, onion, tomato, garlic and five spice curry. This was my personal favourite as the lamb was only slightly gamy exhibiting a really nice char. The meat was sufficiently tender and flavourful. It was further amped by the smooth and creamy sauce that gave a hint of spice. 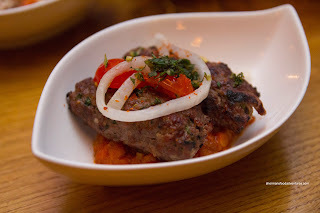 We also liked the Minced Beef Kebab with mushroom, green pepper, tomato and herbs. 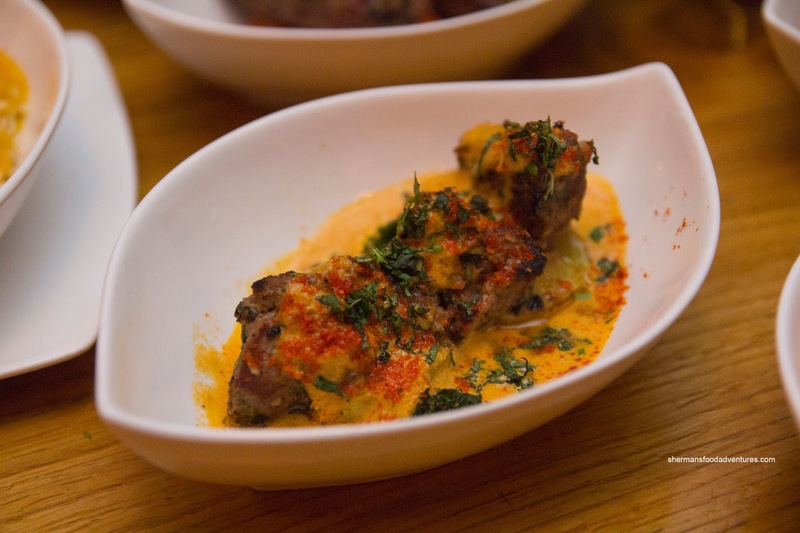 The formed beef kebabs were moist and soft, yet still meaty in texture. Once again, there was a good char which naturally added some smokiness. The mild lentils underneath were nice texturally as they still maintained a bite. Our second round consisted of the 2 fish offerings from the menu. 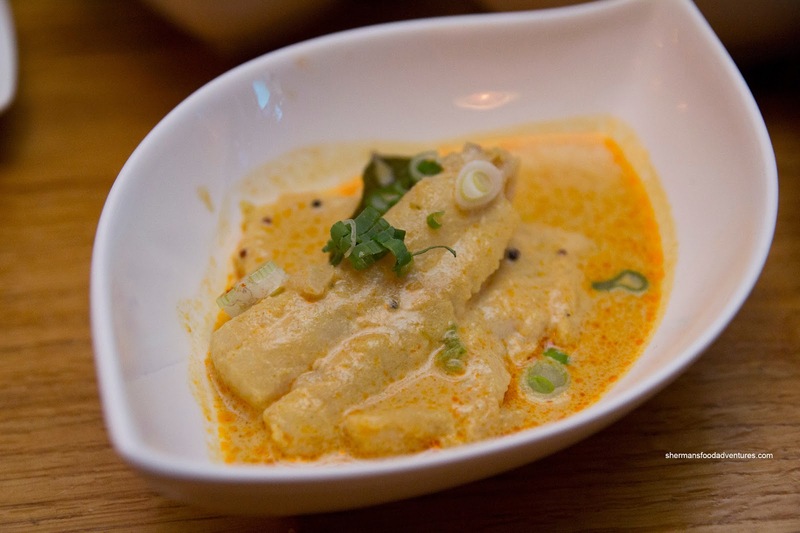 The first was the Seasonal Fish which was Basa Thai Curry. By flavours and appearance alone, it looked like a yellow curry. It was creamy and had a nice kick. The fish itself was cooked just right as it was flaky and moist. However, the Wild Salmon was nothing but. The darn piece of fish was cooked far beyond what it should been. The meat was a dry, chewy mess which was neither appetizing nor really all that edible. Too bad really since the flavours were quite nice. There was supposed to be miso, but we could hardly pick it out, but the mix of red and green curry was quite nice as it had a nice kick to it. 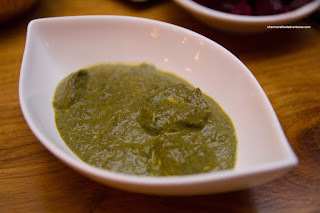 Continuing on with the Mijune diet (emphasis on "die"), we had the Palak Paneer. This was pretty good and admittedly, better than some Indian restaurants I've been to. The whole thing was super smooth and creamy. It was quite mild, yet the texturally on-point morsels of cheese highlighted the entire dish. The last time I had the Mango Butternut Squash (at the Broadway location), I was in the minority when I stated I liked it. Most people, including Mijune, thought it had the texture of baby food. Well, I can't disagree with that, but the flavours really hit a homerun for me. 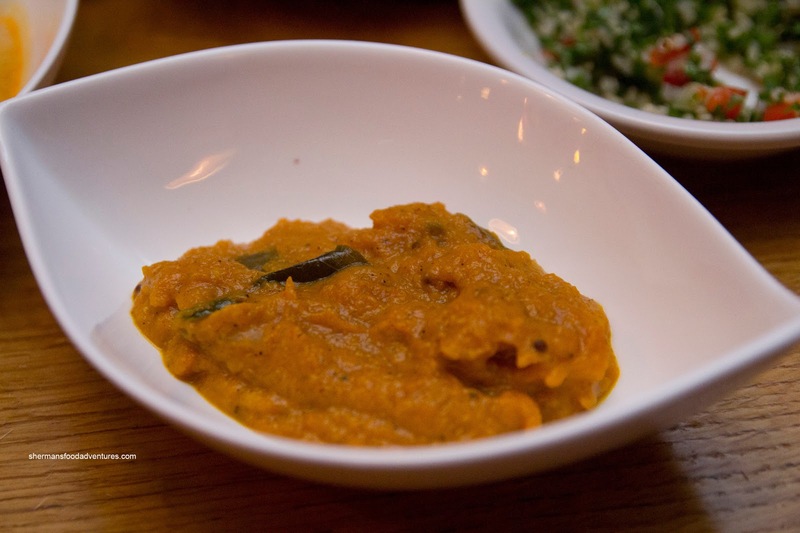 The combination of squash, mango, coconut milk, ginger, nutmeg, cinnamon and curry leaves created a flavour explosion. The flavours of tart, sweet, spice and savoury were all there, especially the tang from the mangoes. Something not found on their online menu, the Okra, was an interesting dish. 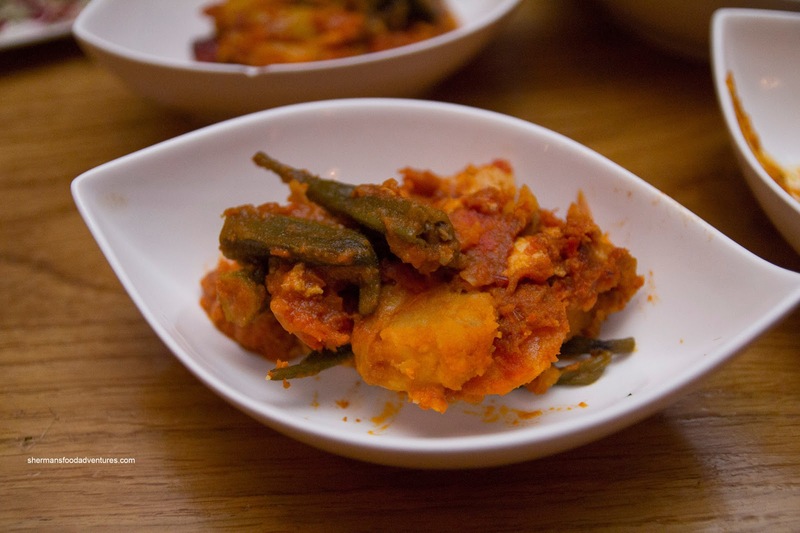 It was a combination of okra and potatoes in a spicy and tangy tomato sauce. The okra was predictably slimy, yet not overly so. It still had somewhat of a bite. The dish was pleasant enough, but somehow, these flavours seemed a bit redundant. And on the topic of re-occurring flavours, the Eastern Ratatouille seemed to echo that sentiment. It was a combination of zucchini, lentils, potatoes, eggplant and garlic sauteed in herbs & spices. So naturally, we had the tang of the tomato with a mild combination of spices. Either we were getting really full (which was true) and/or we were experiencing familiar flavour fatigue. 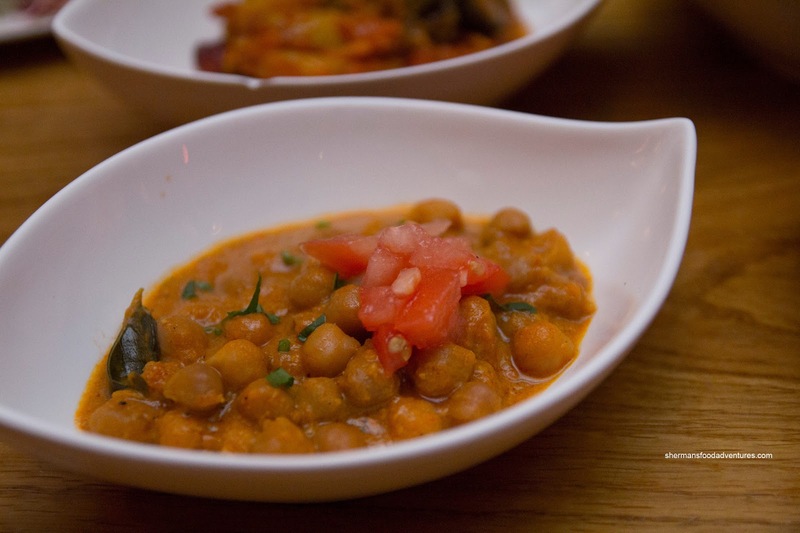 Onto another common Indian dish, we had the Chickpeas (or Channa Masala) in an onion and tomato sauce with herbs & spices. I found the chickpeas to be on the softer side, but they still maintained their shape and were not mushy. The usual spices were there such as coriander and cumin which of course were found in some of the other dishes we had as well. And these spices were repeated in the Chicken Masala as well except with a creamy twist. In this respect, the flavours were similar yet different at the same time. The creaminess really complimented the moist chicken as well as the decent level of spice. Now, as we were preparing for dessert, Mijune noticed that we missed one of the available dishes. There was only one way to alleviate this problem... Get an order of it! 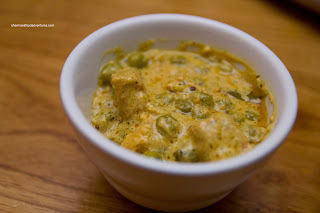 So our last savoury item was the Peas & Cheese with potato mixed in with a creamy, slightly spicy sauce. This was pretty straight-foward with soft peas and equally soft cheese. The whole thing was thick and rich, perfect with rice and/or naan, which we didn't have any left! 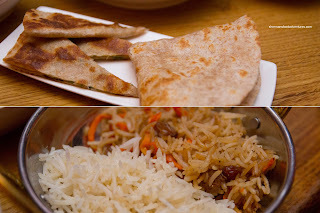 But while we were eating our meal, there was no shortage of Boulani, Naan, Afghan Rice and Basmati Rice. I know this may be blasphemous for me to say this, but I really liked the boulani. So much so, it was better than most, if not, all of the Afghan restaurants I've been to. Chalk it up to personal preference, but I found it to be the right thickness and crisp, light texture with just enough filling. Now onto dessert. We shared 2 of them including the recommended vegan Chocolate Pudding. Predictably, the pudding wasn't exactly smooth. Rather, it was a bit grainy. Yet, at the same time, it wasn't bad either having a rich dark chocolate flavour. 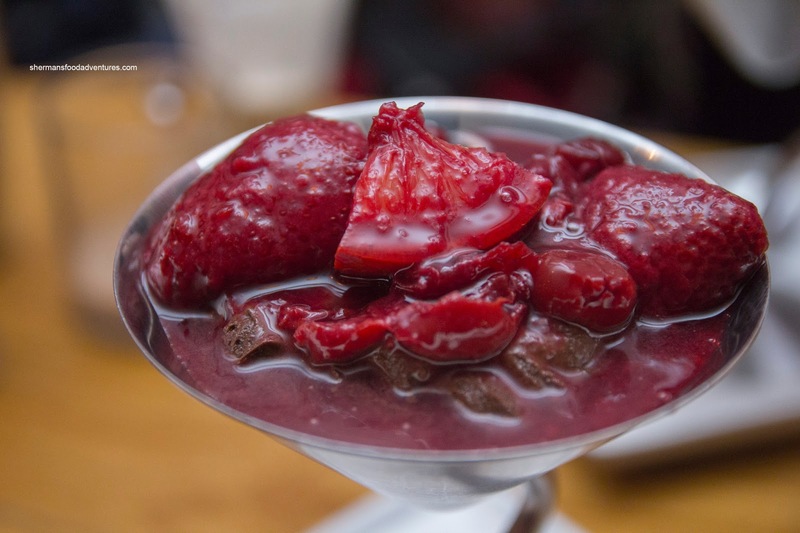 The plethora of strawberries and cherries in a sweet syrup watered down the dessert somewhat. As for the Eastern Ecstasy, it was hands-down our favourite of the two. 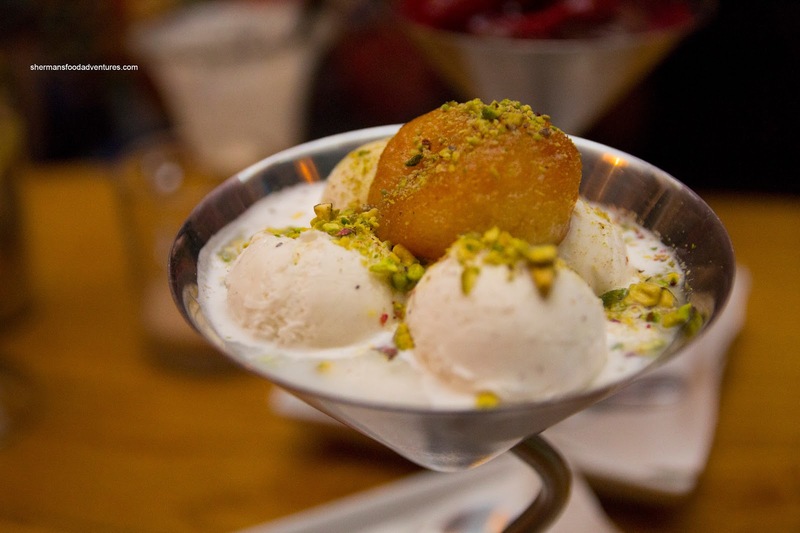 It consisted of rice pudding, ice cream, a warm galub jamun sprinkled with rosewater, pisatchios and cardamom. The rice pudding itself had a nice texture, but lacked flavour. However, the ice cream more than made up for it, including the always sweet galub jamun. This dessert had a kulfi flavour to it, especially with the pistachios and cardamom. Yes, we really did eat all this food and we left little to waste too. Call it the hazards when eating with Mijune... In the end, we thought the food was consistent enough to be considered good. Considering one orders the feast and can actually eat a lot, it is a fantastic value. East is East succeeds in being a safe, reasonably-priced restaurant for those who want to venture past regular Western fare in favour of more exotic offerings. 3 years later, I got an invite to try out their recently relocated spot on Main. That IS a lot of food! I've always wanted to try East is East - but I just assumed it was a vegetarian restaurant. The food looks DELICIOUS! - Agnes K.
The food there looks great! I've never been to a middle eastern restaurant but this might be my first foray. Not sure if I can power my way through the Feast like you guys did, but I would definitely like to try out some of their a la carte items. Sherman ... don't forget your regular bloodwork! Lol. The food looks really good. I'd love to try the feast! I've only had their smoothies here - but I really enjoyed it. Food looks good. Will have to give it a try! Would love to try The Feast!!! Would love to tackle The Feast!!! Didn't know they had a Feast option! I have heard many good reviews for east is east. I went there for lunch couple months ago, the main st location and it was good. I would love to try the feast you had! Thanks for the review, sherman. I've only tried the Silk Feast once, but it was fantastic! My favourite dish at East is East is the mango butternut squash. The paneer and cheese comes a close second. East is East has been on my list of places to visit for a while! Wow food looks awesome! A feast for the eyes as well as the stomach! This place definitely has my attention and curiosity. Must add to the try it out list. - Margaret C.
I have always been curious about the "feasts"; thanks for providing so many details about it! Something close for the wife and I to eat. Funny enough - I drove past there today and debated going in, but wasn't that hungry! Their eastern shakes are absolutely delicious. I want to try! My friend went before and said it was awesome! most of those dishes look delicious! i just happened to google kulfi recipes just now. that dessert thus looks especially intriguing to me. the all-you-can-eat option is certainly ideal for any first-timer (i.e. me). Mike D. (bassclarinet at me dot com) Himilaya smoothie good choice! do they still have the sandwich type deals? Edwina L.
Absolutely love that place for something different. Would love try this place! I haven't eaten at East is East for a few years - but this new "Chai Gallery" looks intriguing. 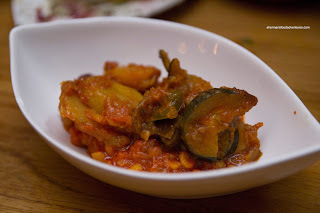 I still remember having the Afghan Eggplant though - it was good! Looks delicious, would love to try it out! i've never been but i've always heard good things about it! 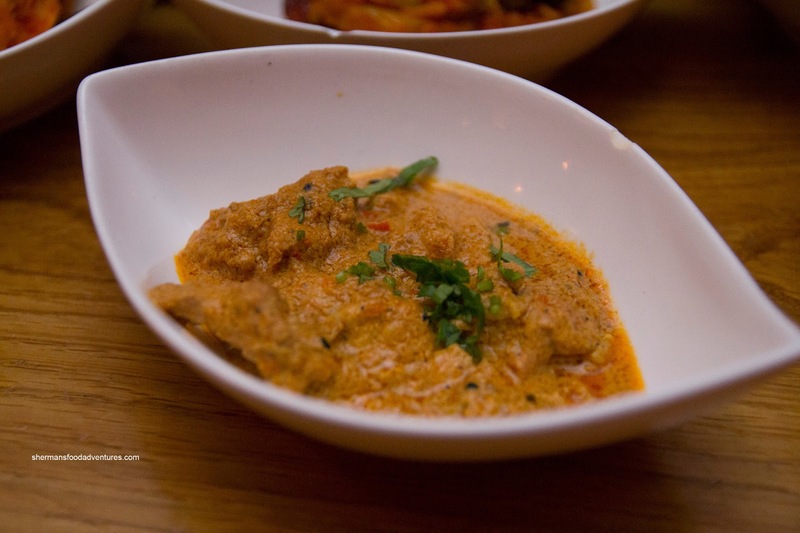 I would love to try East is East again, I haven't been back for 4 years! 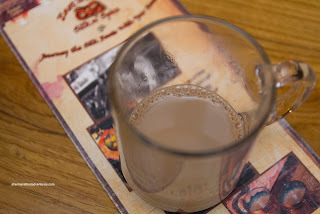 Love the chai tea here! I'll definitely be trying the feast. Thanks for the info. Note to self... must try the Prawns Masala. Actually, everything looks so good my mouth is watering. Food looks great. Love to try it! Yum!! I love eggplant and their Afghan Eggplant looks heavenly. Thanks for the review. Would love to try this place.- Martie W.
I always pass by their branch on W. Broadway, but have yet to make it there! Looks like the food is great, I'll have to go soon! Always look forward to reading your blog! would love to try this place, sounds great! Hilda Wang: I always wanted to try this place but haven't had a chance to. Thanks for the in-depth review. Will definitely be checking this place out.